The outpost Giv'at Asaf is located in the West Bank. In Israeli law, an outpost (Hebrew: מאחז, Ma'ahaz lit. "a handhold") is an unauthorized or illegal Israeli settlement within the West Bank, constructed without the required authorization from the Israeli government in contravention of Israeli statutes regulating planning and construction. In Israeli law, outposts are distinguished from settlements authorized by the Israeli government. This distinction between illegal outposts and "legal" settlements is not endorsed by international law, which considers both a violation of the norms, governing belligerent occupations, applicable to the Israeli-occupied West Bank. Outposts appeared after the 1993 Oslo I Accord, when the Israeli government made commitments to freeze the building of new settlements. Although outposts were not officially supported by the government, Israeli public authorities and other government bodies played a major role in establishing and developing them, according to the 2005 Sasson Report, commissioned by then Prime Minister Ariel Sharon. Outposts differ from neighborhoods in that they are built at a substantial distance from authorized settlements, while neighborhoods are attached to an existing settlement. In July 2002, the Israeli government acknowledged that 69 outposts had been established since 1996. A number of them, most unpopulated, have been removed afterwards. Currently, some hundred outposts exist. The majority of them, some 70 in 2002, belong to the Amana movement. In 2012, ten unauthorized outposts were retroactively legalised by the Israeli government under Prime Minister Benyamin Netanyahu, according to the Israeli NGO Peace Now, by redesignating them as a neighbourhood of nearby settlements. Outposts often are provided with security by the Israel Defense Forces. The population of outposts generally numbers between a few and some 400 people and they are usually composed of modular homes, such as caravans. However, they can also be further developed, having more permanent housing as well as "paved roads, bus stops, synagogues and playgrounds." There was no government decision to establish it, and in any case no authorized political echelon approved its establishment. The outpost was established with no legal planning status. Meaning, with no valid detailed plan governing the area it was established upon, which can support a building permit. An unauthorized outpost is not attached to an existing settlement, but rather at least a few hundred meters distant from it as the crow flies. The outpost was established in the nineties, mostly from the mid nineties and on. Sasson defines an outpost as a (unauthorized) settlement not attached to an existing settlement. If attached, it is regarded as an unauthorized neighborhood. Moreover, outposts can be built either within or beyond the officially determined municipal boundaries. Although the Israeli government acknowledges that settlements built on land privately owned by Palestinians are illegal, it usually provides them with military defense, access to public utilities, and other infrastructure. Israel distinguishes between outposts built on state land and those built on privately owned lands. Since the Elon Moreh case in 1979 before the Israeli Supreme Court, the Government formally follows the policy not to allow new settlements on private Palestinian lands. The Netanyahu government seeks to legalize outposts on state land and dismantle those on private lands. As this state land is part of the Occupied Territories, authorization can only make them legal according to Israeli law; it does not change their illegal status under international law. State Land declared after 1979 under changed legislation. Most of the state land belongs to the latter type. According to B'Tselem, the declaration as state land was doubtful in many instances. Israel pretends to apply Ottoman land laws, but uses an interpretation of law that differs from the Ottoman/British Mandate/Jordanian rule. The latter never used declaration of state land as a method to take over lands. International law forbids the occupying power to change the local law in force in the occupied area (in force on the eve of its occupation), unless such a change is necessary for security needs or for the benefit of the local population. "Dummy" outposts are uninhabited outposts. Apparently, some of them were used to distract the IDF in order to prevent evacuation of occupied outposts. Others are destined to improve negotiation positions by offering extra outposts to remove and show the world that the State is dismantling outposts, The idea of the "dummy" outposts is attributed to Ze'ev Hever, a former leader of the Jewish Underground. The Sasson Report found that most of the evacuated outposts were unpopulated. In theory, military outposts are temporary occupations for military strategic purposes, not for settlement of civilians. In the Occupied Territories, this were typically Nahal settlements, and they became a principal way to start civilian settlements. Currently, some hundred outposts exist. The Sasson Report gave a provisional figure of 105 unauthorized outposts by March 2005, although Sasson did not have the disposal of all the necessary information. It found that 26 outposts were on state lands, 15 on private Palestinian lands and 7 on survey lands. The definition of outposts, neighborhoods and authorized settlements may differ between concerned parties. Due to different interpretation, the number of outposts (and of settlements as well) may differ in statistics. 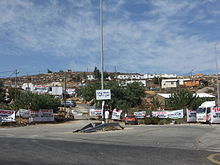 In 2012, four new outposts were established with 317 new housing units built without building permits: Tzofin Tzafon (Tzofin North) outside the Tzofim settlement near Qalqilyah, Nahlei Tal outside the Talmon settlement near Ramallah, Nahalat Yosef near Nablus and Hill 573 as part of the expansion of the settlement Itamar, according to Peace Now. In the framework of the 2003 Roadmap for Peace, Israel committed itself under Prime Minister Sharon to evacuate outposts, erected from March 2001, the start of the Sharon government. The Israeli government gave the U.S. a list of 28 unauthorized outposts erected in the West Bank since that date, of which 12 were ordered to be removed, "while some of the remaining 16 outposts [were] in the process of being approved and planned", according to the Israeli daily Haaretz. However, the Israeli NGO Peace Now claimed that there are 45 unauthorized outposts erected in the West Bank after March 2001. Israel did not meet the commitment under the Roadmap. It dismantled few manned outposts and none of the larger ones. The Government opposes the evacuation of older outposts. After March 2001 outposts were further expanded. The large outpost-declared-neighborhood Shevut-Rachel seen from Shilo. In the "Blue Line"-plan, written in January 2011, at least 26 outposts were included in areas defined as "state lands". Left-wing activist Dror Etkes said, this means the state has started a process to legitimize these outposts. In March 2011, the Israeli government under Prime Minister Benyamin Netanyahu declared that it intended to legalise outposts that were built on state land, and to evict the outposts that are on private Palestinian lands. According to the Israeli NGO Peace Now, the Israeli government under Netanyahu legalised ten illegal outposts in 2012, being the only Israeli government to ever authorize outposts. In February 2012, approval was quietly granted to the outpost Shvut Rachel by redesignating it as a “neighborhood” of the nearby settlement of Shilo, in April of the same year, legal status was conferred on the three outposts Bruchin, Rechelim and Sansana. The Minister of Defense also approved the promotion of plans that will legalize the outposts Nofei Nehemia, Mitzpe Eshtemoa, and El Matan as “neighborhoods” of other settlements or outposts, and in June 2012, the outpost Givat Salit in the northern Jordan Valley was retroactively legalised by redesignating it as a neighbourhood of the nearby Mehola settlement, from which it is separated by a major inter-city highway. In late January 2012, Prime Minister Netanyahu appointed a three-member committee headed by former Israeli Supreme Court justice Edmund Levy, dubbed the “outpost committee”, to investigate the legal status of unauthorized West Bank Jewish settlements. The Levy Report published in July 2012, which comes to the conclusion that Israel's presence in the West Bank is not occupation, recommends state approval for unauthorized outposts, and provides proposals for new guidelines for settlement construction. As of April 2013, the report was not brought before the Israeli cabinet or any parliamentary or governmental body which would have the power to approve it. ^ Asʻad Ġānim (2010). Palestinian Politics After Arafat: A Failed National Movement. Indiana University Press. p. 32. all forms of settlement in the occupied territories are considered prohibited under international law, Israel considers only settlement 'outposts' illegal. ^ Eyal Benvenisti (2012). The International Law of Occupation. Oxford University Press. p. 236. [illegal outposts] were settlements that sprouted without formal authorization by the military administration due to commitments given by the Israeli government during the Oslo process not to build new settlements. ^ a b c d e Talia Sasson (10 March 2005). "Summary of the Opinion Concerning Unauthorized Outposts". Sasson Report. Israel Ministry of Foreign Affairs. Retrieved 6 March 2011. ^ Geoffrey Aronson (September–October 2002). "New "Outposts" Lead Settlement Expansion. Settlement Report 12 No. 5". Foundation for Middle East Peace. Retrieved 16 April 2013. ^ a b "Settlement Outposts". Foundation for Middle East Peace. Retrieved 16 April 2013. ^ a b Sara Leibovich-Dar (11 July 2002). "The Zambish factor". Haaretz. Retrieved 16 April 2013. ^ a b "The Government Secretly Approved another Outpost: Nofei Nehemia". Peace Now. 1 August 2012. Retrieved 22 April 2013. ^ Gili Cohen (3 April 2013). "IDF troops provide security for all West Bank outposts - regardless of legal status". Haaretz. Retrieved 16 April 2013. ^ Tovah Lazaroff (25 June 2009). "Settler Affairs: Running for the hilltops". The Jerusalem Post. Retrieved 6 March 2011. ^ "New Commander Should Protect Palestinians From Settler Violence". Targeted News Service. 22 November 2011. Retrieved 9 September 2012. ^ a b Nir Shalev, Under the Guise of Legality – Israel's Declarations of State Land in the West Bank (4,6 MB), pp. 12-15, 56-60. B'Tselem, February 2012. (p.13) Government Decision No. 145 of 1 November 1979: "On 11 November 1979, about one month after the ruling in the Elon Moreh case, the government decided "to expand the settlement in Judea, Samaria, the Jordan Valley, the Gaza Strip and the Golan Heights by increasing the population of the existing communities and by establishing new communities on state-owned land." (p.59): "International law, [which] forbids the occupying power to change the local law in force in the occupied area on the eve of its occupation, unless such a change is necessary for security needs or for the benefit of the local population." ^ Chaim Levinson and Barak Ravid (1 March 2011). "Israel vows to raze all illegal outposts built on private Palestinian land". Haaretz. Retrieved 16 April 2013. ^ Chaim Levinson (16 January 2013). "Approval for settlement plans jumped 300% in 2012, says Peace Now". Haaretz. Retrieved 22 April 2013. ^ AP and Aluf Benn (1 July 2004). "Israel gives U.S. list of unauthorized outposts". Haaretz. ^ Hagit Ofran and Lara Friedman (2 March 2011). "At least 70 outposts are located on private Palestinian land". Peace Now. ^ Ami Isseroff (2 July 2004). "Israel's outpost hutzpah". Mid East Web. ^ Chaim Levinson and Barak Ravid (1 March 2011). "Israel vows to raze all illegal outposts built on private Palestinian land". Haaretz. Retrieved 22 April 2013. ^ Tovah Lazaroff, IDF signs injunction legalizing Bruchin outpost. The Jerusalem Post, 12 August 2012. ^ "Watchdog says Israel 'legalises' another settler outpost". AFP. 17 July 2012. Retrieved 22 April 2013. ^ a b Tovah Lazaroff (9 July 2012). "Legal report on outposts recommends authorization". The Jerusalem Post. Retrieved 10 July 2012. ^ a b Isabel Kershner (9 July 2012). "Validate Settlements, Israeli Panel Suggests". The New York Times. Retrieved 10 July 2012. Elisha Efrat (26 May 2006). The West Bank and Gaza Strip: A Geography of Occupation. Taylor & Francis. pp. 40–49. ISBN 978-0-415-38544-2. Retrieved August 23, 2012.